Mo Willems is in my eyes, one of the funniest, wittiest and thoughtful children's author out there. He has an array of books, two of which have their own series. It all started with Don't Let The Pigeon Drive the Bus. 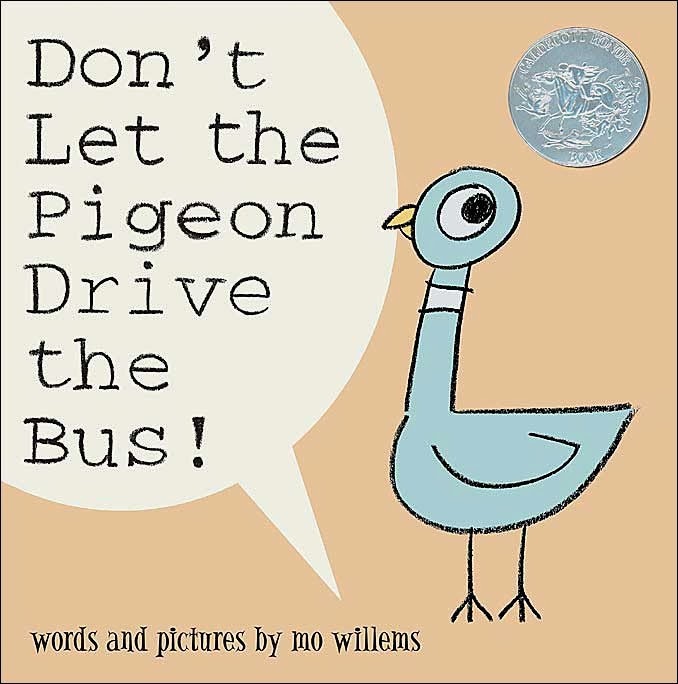 A book about a irresponsible pigeon who wants to drive a bus, but the bus driver has explicitly told the audience to watch the bus for him and....don't let the pigeon drive the bus! The pigeon is hilarious as he finds ways/excuses of why you should let him drive the bus. It is comical and is probably how most children would react/think of when they want something from their parents. In 2007, the Elephant and Piggie books were introduced. Today I Will Fly is the first of those. 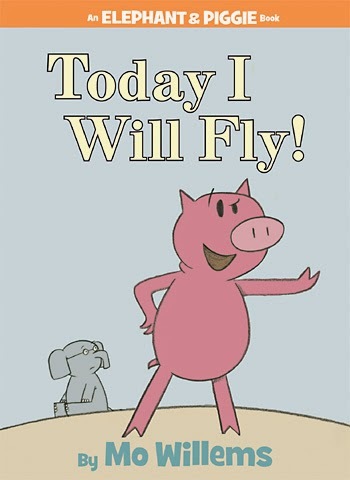 Piggie wants to fly, but her best friend Gerald is convinced that Piggie won't because she can't. That doesn't deter Piggie at all and she keeps trying. As most things go, I found one of his books 'Pigeon Finds a Hot Dog', purely by accident. It was at my school gala many moons ago. I read it to my Year 3's and that's all she wrote. I've loved every Mo Willems book I have read and personally own 22 of the 49 currently available books. What I think makes Willems stand out is that the books are very simple. A simple idea with simple words. Sometimes with a profound message. In the case of the Piggie and Gerald books (what I've always called them), they have on average about 5 words a page (some books have way less). However, with around 50 pages, the story unfolds slowly, with lots of laughs along the way and some great friendship moments. Over the years all my kids have loved hearing me read these books in my Piggie and Gerald, Pigeon and Duckling voices. Hundreds of children have heard these stories from my mouth and if I have anything to say (pun!) about it, then hundreds more will hear them too. Oi Frog! is a wonderful picture book. It combines humour, rhyming and extraordinary pictures. 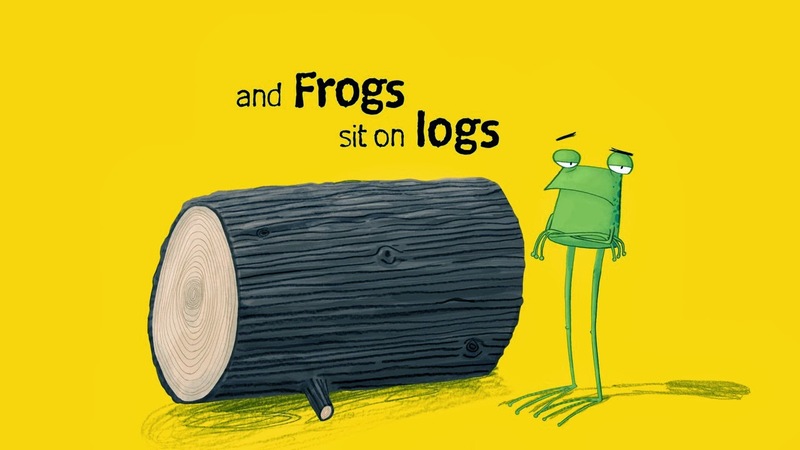 It all starts off when Cat tells Frog that he is sitting in the wrong place, that frogs are only allowed to sit on logs, just like cats sit on mats. This gets Frog wondering and so asks Cat what other animals sit on. As frog asks and asks his curiosity grows more and more. What will be in store for Frog at the end? What is so well done in this book is the combination of words with the pictures. The pictures are colourful and every page draws the eye in with an array of colours. Jim Field draws the animals so that they not only compliment the words well but he adds a little touch of cuteness here and a bit of detail there. 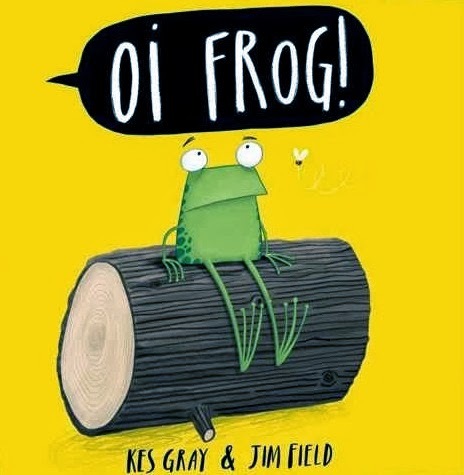 Kes Gray is also to be commended because this story not only captivates the reader with new words but makes it humorous as well. My class (Room 19) loved it. They recommend this book highly. It is a very simple book but it is fun and can amuse any age. Room 19 also said, it is great for kids learning to read because of the rhyming words but also great for the older kids to help them spell. Thanks to Hachette NZ for providing the review copy.